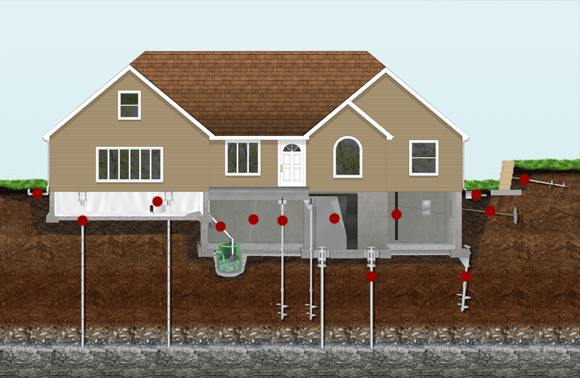 At Atlas Piers of Atlanta, we take your most valuable asset seriously – that’s why we specialize in foundation repair using both helical and resistance piers. You won’t find us trying to sell you a waterproofing system, or talking you into a new driveway or retaining wall. We do foundation repair in Atlanta, GA and the surrounding area. Don’t be fooled by thinking all foundation repair companies are the same, or that all helical piers and resistance piers are the same. Atlas Piers of Atlanta exclusively repairs foundations – while most of our competitors perform foundation repair to supplement their main business of waterproofing. Our employees are fully trained and licensed to repair foundations, and have installed thousands of piers. 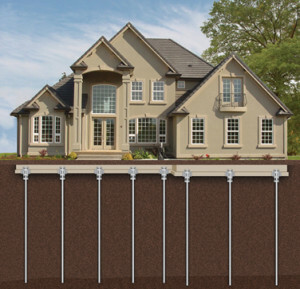 Atlas Piers of Atlanta will send someone whose only job is to lift and stabilize foundations. Our products are manufactured by the largest and strongest piering manufacturer in the world so you don’t have to worry about the quality of what you are buying (many of the local companies make their own piers or buy from the cheapest supplier). Our products are made by Earth Contact Products (ECP), the leading manufacturer in foundation repair products in the industry. Our system representatives are not on commission and will give you a straight answer as to what your foundation repair needs in your Atlanta home are. If you don’t need repairs, we’ll let you know and we will let you know what to watch for inside your home and outside of your home for signs of foundation failure. With your most valuable asset, your home, you need a repair that will last a lifetime and company that will be around to back their warranty. Check out our section on Frequently Asked Questions. Foundation Repair Atlanta where we do it right.